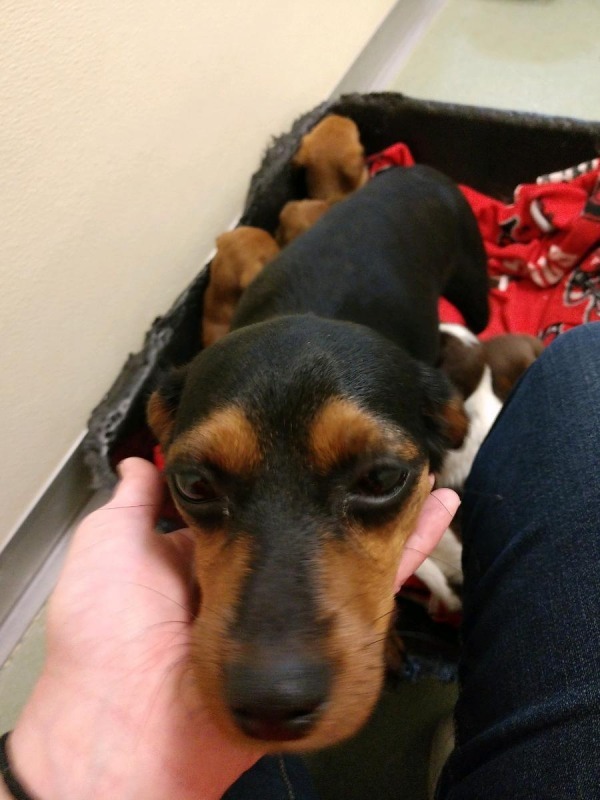 Beina came into rescue as a Chiweenie from a poor shelter with her 6 six-week-old puppies. It was not until she was picked up that the length of her legs was obviously not in the dachshund range. 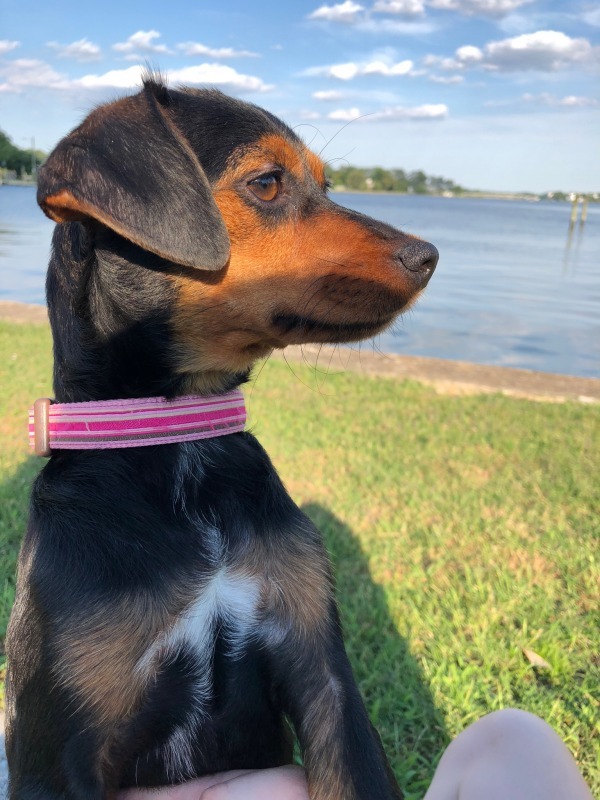 Thoughts of transferring her to an all breed rescue were explored but her foster mom fell in love and feels that she is here for a reason and that is her perfect home is within the reach of DRNA. She loves everyone! She is young, maybe only a couple of years old herself and has been such a good mom to her pups. 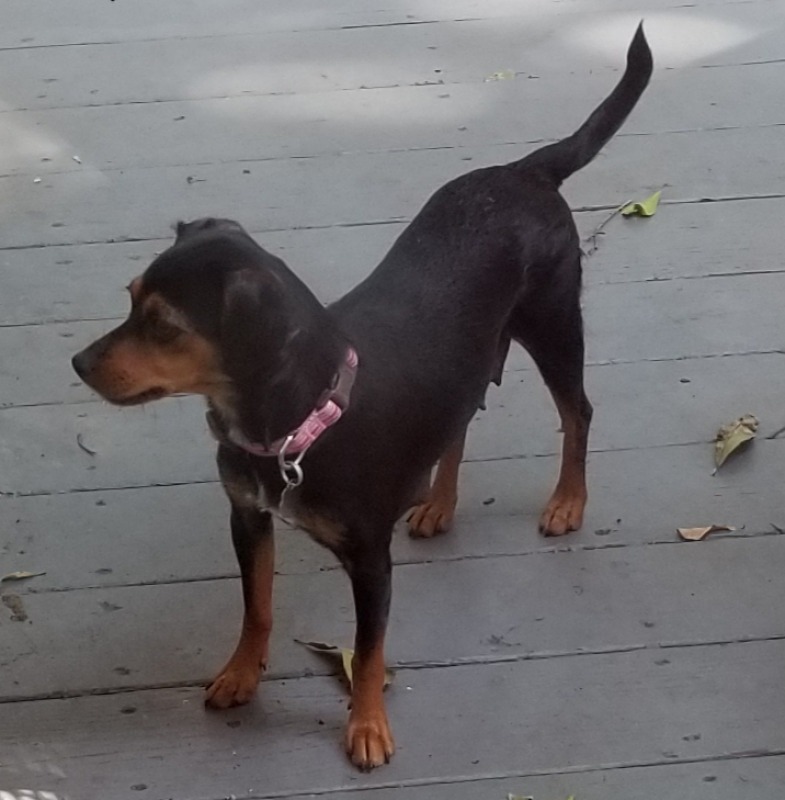 She is playful, obedient, house trained and gets along with young and old dogs alike. Someone will be lucky to have this loving and dedicated companion to join their family. *Mileage restriction will be waived if approved adopter is willing to travel to Norfolk, VA, to pick her up.